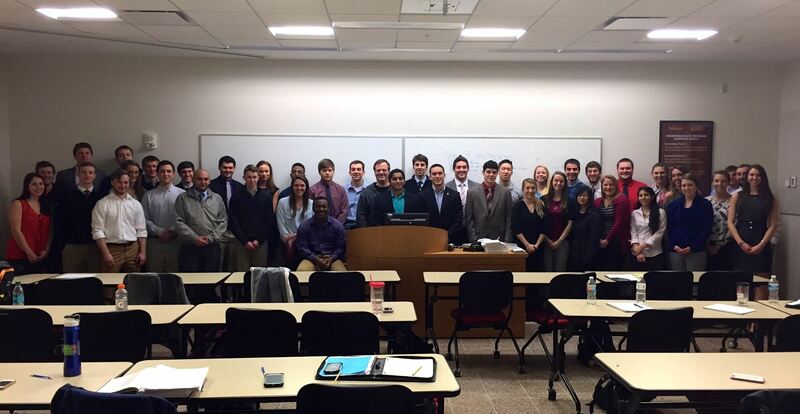 On March 9 we visited with the Salisbury University chapter of Beta Alpha Psi and had an opportunity to engage these future CPAs in a dialogue about their future careers. Can you guess the No. 1 thing they want in their careers? These answers are consistent with our prior student research and the latest generational research we have been following. Intermediate II is still the hardest course! Job security (and pay) is the No. 1 reason why they chose accounting as a major, with several students saying they thought it involve a lot of math. Here is the “Why CPA? Why MACPA?” video we mentioned that shows the many career paths available as CPAs. And one more video we think captures the Spirit of the CPA here and our purpose at the MACPA as the professional home for CPAs. The students loved hearing Barrett Young, founder of the Green Abacus, talk about his career path and how he ended up with his own business serving tech startups all over the United States. Barrett is also an active volunteer at the MACPA and on the board of our New / Young Professionals Network. As a millennial business entrepreneur, he was asked a lot of questions about how he got started and what advice he had for them as they prepare for careers in accounting. Get debt-free for financial security. (For more information, see our financial planning resources here). Try a lot of things and find what you love to do. Focus on that one thing and become great at it. Here is a prior student professional issues update with background for the students and includes some of our prior research. Visit our Tomorrow’s CPA website for more student information (membership is FREE), including scholarships, internships, events, and more. Or contact our membership manager, Rebekah Brown, CPA, at Rebekah@macpa.org for information on our student and young professional activities. Make sure you check out our first-ever Student Leadership Academy on June 25-27 in Towson, Md.